Intel has launched their latest 750-series solid state drives which are based on a PCIe and NVMe interfaces, giving the users much higher performance than the company’s SATA SSDs. According to Intel's product marketing engineer Jeff Fick the new 750 series offers such performance and delivers the “highest SSD performance” anyone will see for a long time. Want to know about the read and write speeds? 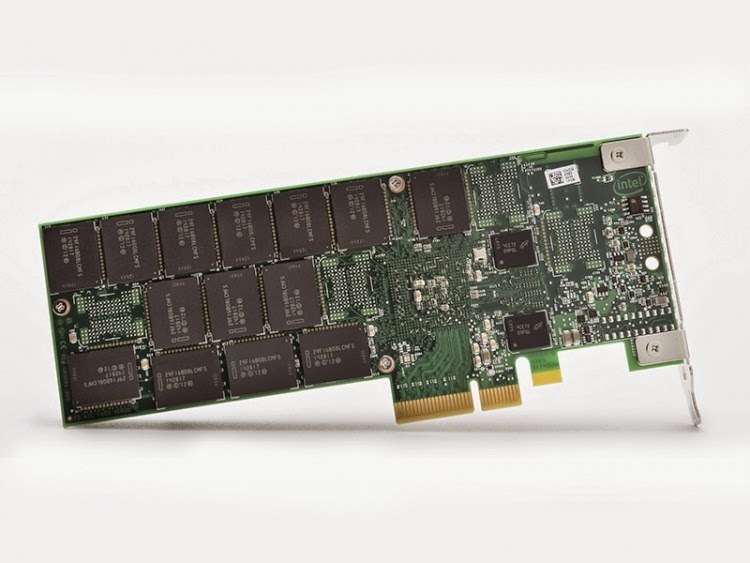 Well the 750 PCI SSD can deliver read speeds of up to 2400MB/s and write speeds of up to 1200MB/s, and also they can reach 440,000 IOPS in read and 290,000 IOPS in write mode. The drives employ 20nm class chips. Fick also said that “The sequential performance is quite high and added that Intel’s focus was on random performance, demanded by workstation users. These aren’t Intel’s first non-SATA drives, but they are the first PCI and NVMe drives intended for individual users. The company’s previous PCIe solutions were designed for data centres rather than workstations. While the drives aren’t available in SATA flavours, there is a 2.5-inch version, but it’s 15mm thick , 2.5" and requires a special connector which you won’t find on most machines. The PCIe model ships in the form of a half-height PCIe card. Prices and capacities for these badboys are set to $390 for the 400GB version and $1,030 for the 1.2TB. can you please tell me how the featured post worked for you? or how you did this?